If you have a dog, there’s no doubt that your feline friend is your 4-legged-walking-talking furry diary. You’ve spent countless hours pouring your heart out to the pup, but you’ve always wondered what the little guy would advise you to do given he could articulate himself in a way you’d understand or more preferably, just talk. 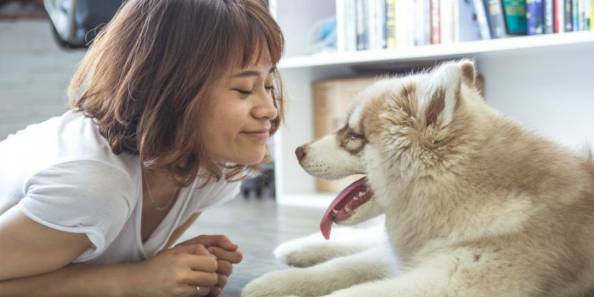 How many days have you spent pondering over the mere thought of hearing a response, maybe even a sign that re-ensures that your dog is listening? I know I have. There are countless ways for you to train your dog to talk. One of the most popular psychological examples of dog obedience lies in classical conditioning with Pavlov’s dog who was trained to salivate at the sound of a bell and regardless of food being present there. This goes to show that dogs are intelligent creatures that can be trained to adapt skills. Not only this, but it is said that dogs can get jealous easily, they hear the voice of your tone, they are said to be colour blind, although not completely but they fail to recognize all the colours like humans do and dogs can’t sweat, so it is especially difficult for them to regulate their body temperature. So, please don’t leave them out in the hot weather in a vehicle with or without the windows down – Humble, humble request to all dog owners. The most important fact is (and good news for dog owners), that it is possible for dogs to talk. At least it is for Mishka. This little girl is a 14-year-old Siberian Husky, born on the 16th of June, 2002. Apparently, she loves to sing, talk, play, sun bathe and chase squirrels (imagine that now!) Her owner(s) claim that she’s a Tom Cruise fan and loves to devour Chinese food! I’m pretty sure she can make a ton of human friends with those qualities. Mishka has been featured on various Radio Commercials, Talk Shows and TV Commercials. The world loves her! You’ll need to see for yourself how adorably cute the little fur ball looks when she tries to talk and answers to her human! Doesn’t she look like an absolute cuddle fluff? Tell us the qualities your dog possesses! We’d love to hear more about it in the comment section!